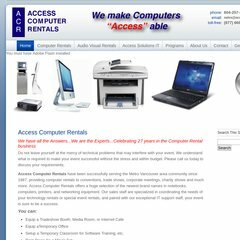 Topics: Computer Rentals, Desktop Computers, Monitors, Notebook Computers, and Printers. PHP/5.2.4 is its coding language environment. It has 2 DNS records, ns1.ubertor.com, and ns2.ubertor.com. It is hosted by American Registry For Internet Numbers (Virginia, Chantilly,) using nginx/0 web server.